For National Blueberry Month, we decided to try making and sharing our own blueberry recipes for those fresh berries in the fridge. 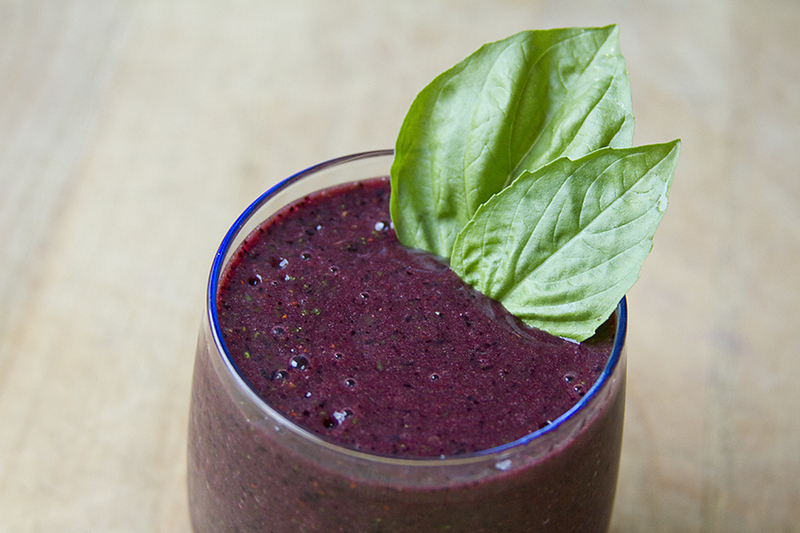 Our first recipe is a delicious breakfast smoothie that is packed with nutrients and flavor. 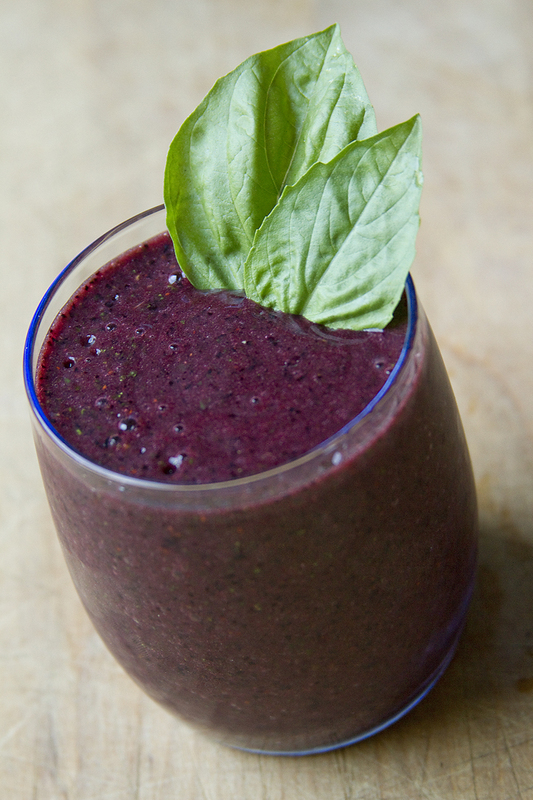 This Blueberry Thai Basil Smoothie reminds us of fresh blueberry jam with a hint of basil and tastes exactly as summer should. Purple kale. cherry juice, and blueberries give it a high nutrient value which makes it a great way to start your day!